A must-see structure … I drove into Vancouver in the evening to view the Olympic Cauldron. I knew that by going at night, the flames would appear more radiant. The Cauldron is located on the edge of the city. To the left is a beautiful view of the Paralympic symbol floating on a barge in Coal Harbour. 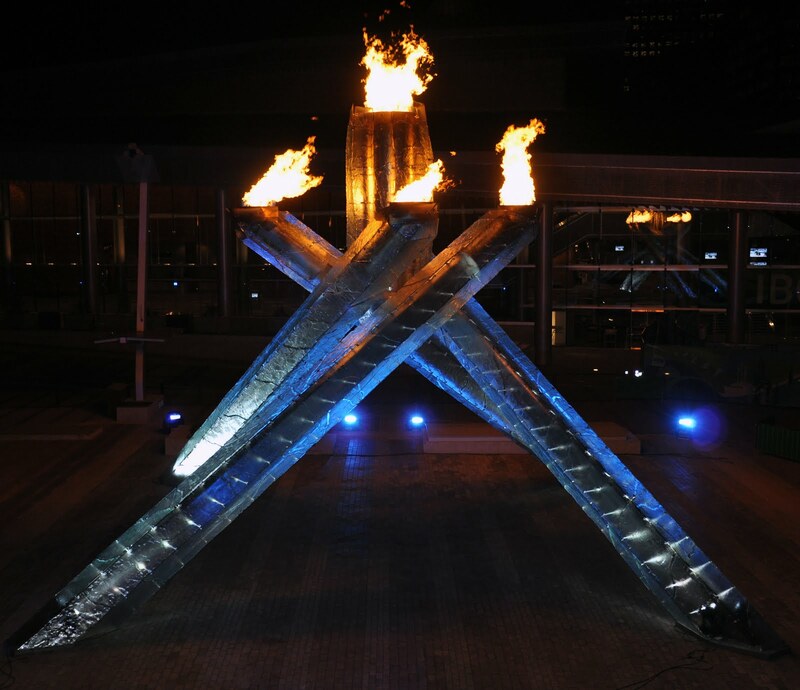 The Cauldron was lit on Feb. 12, 2010, marking the official opening of the Olympics. The journey of the torch leading up to the 2010 Winter Games made it the longest national torch relay in Olympic history. The Cauldron structure is simple in design, yet impressive. Your eyes are immediately drawn to the flames. I walked along the side of the massive sculpture to observe it and to take a few moments to reflect on what it symbolizes. It was a very peaceful experience.